Polish Pickup is about to come back for a new theme, this time Great Works of Art! The shop opens Friday, April 5 at 11AM EDT and the pre-order runs through 11:59 PM EDT on Monday, April 8. The Polish Pickup is a Facebook group and pop-up shop that offers monthly pre-orders of indie polish made to themes voted on by members of the group. 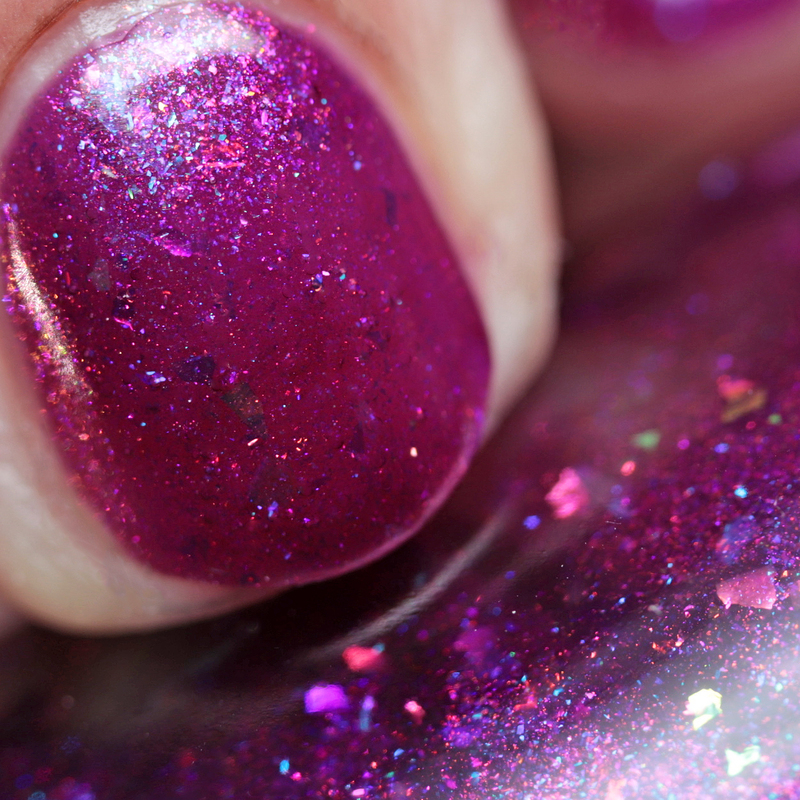 The last polish I have to show you is from Sweet Heart Polish, who crafted a magical shifting jelly. 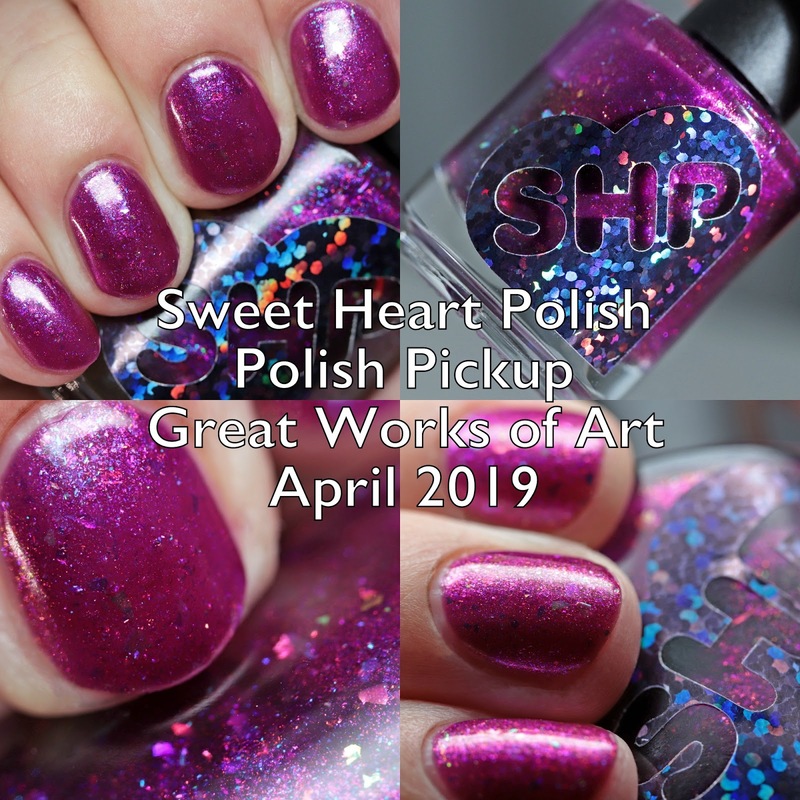 Sweet Heart Polish Purple Haze is a fuchsia purple jelly with purple-to-red and red-to-gold multichrome aurora shimmer and multichrome iridescent flakes. I wore it in four thin coats, but two or three will do. It dries quickly and smoothly. Check out the amazing holo label on the bottle! 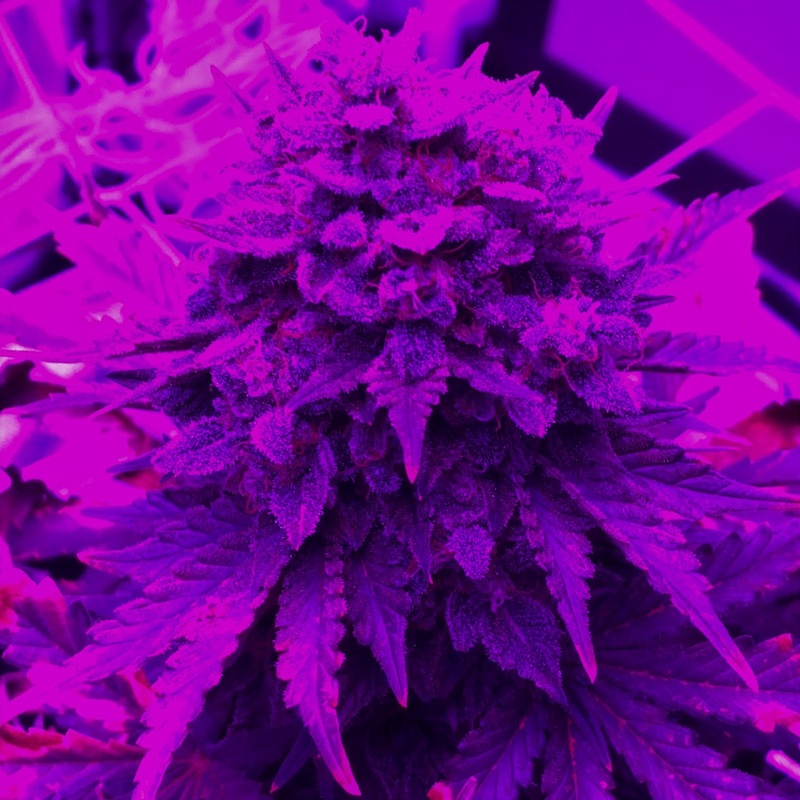 Inspiration: "This inspiration is a little different then others by being inspired by a photo I took of a recreational, but legal in several states, plant. It's not really what most would think of a Famous Work of Art, but was inspired by a work of my personal art"
The Polish Pickup opens Friday, April 5 at 11AM EDT and the pre-order runs through 11:59 PM EDT on Monday, April 8. I have an Indie Pickup product left to show you for the Great Works of Art theme, so stay tuned! 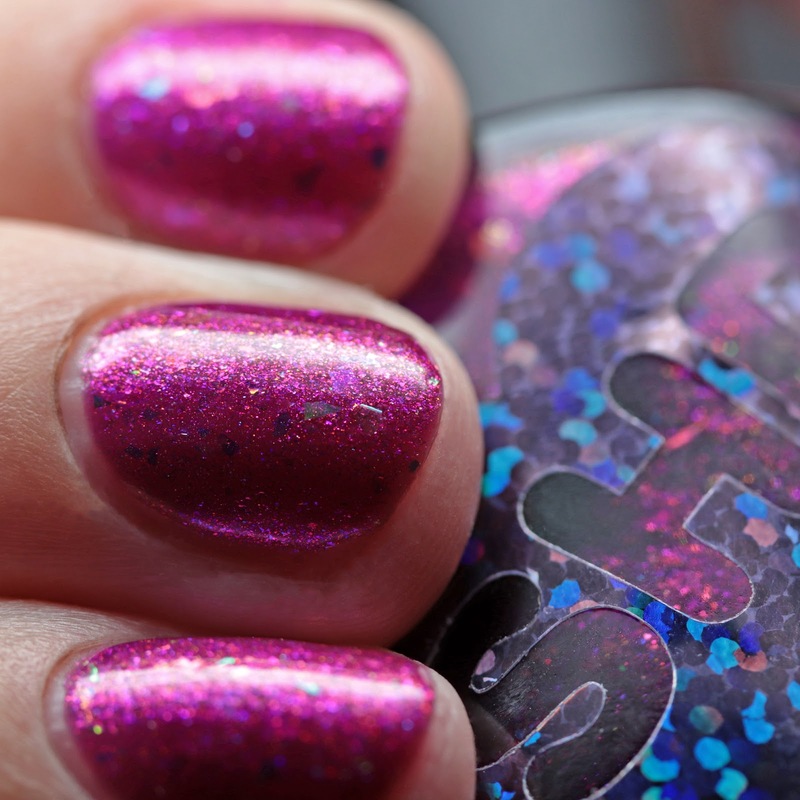 I love the shimmering beauty of this shade from Sweet Heart Polish and the base shade is so flattering. Sweet Heart Polish is made by Cassandra in California.